The Police and Crime Commissioner office announces recruitment of ‘additional’ police officers in Hampshire and Isle of Wight. However, when questioned, they admit this is not additional officers, but replacement officers to “counter when officers retire or leave the force”. This in from the office of Police and Crime Commissioner, Simon Hayes. Simon Hayes, the Police and Crime Commissioner for Hampshire and the Isle of Wight has today confirmed that an additional 90 police officers will be recruited into Hampshire Constabulary, taking the total of new officers being recruited over the next 12 months to 198 – the largest number to enter the force since 2010. Following the Spending Review in December 2015, the Commissioner announced an additional 108 police officers would be recruited into the Constabulary. Since this announcement, the council tax precept has been agreed by the Police and Crime Panel at 1.99% and a clearer understanding of the national financial picture has been developed; this has better informed future financial predictions. 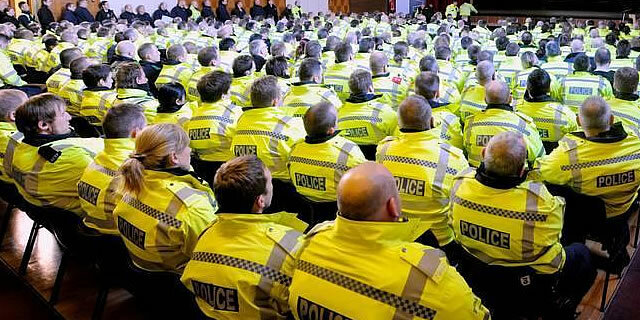 Hampshire Constabulary has also undertaken detailed analysis of its workforce which has indicated to the Commissioner that the budget will allow the recruitment of a further 90 police officers to maintain current levels. “This illustrates the complicated, and detailed, financial planning we’ve needed to undertake to ensure we can afford, with the money available, to provide the highest numbers of officers to protect people and places across Hampshire and the Isle of Wight. “In some parts of the Country, neighbourhood policing has gone, but not here. I am pleased to be able to confirm we will be recruiting an even higher number of officers, and be able to at least maintain our current policing levels into the foreseeable future, taking our latest recruitment figure to just under 200. “I am delighted to say that the force is already seeing a large number of applicants apply through this latest recruitment campaign and I would encourage anyone to go to the Hampshire Constabulary Website to get more details. 4 Comments on "200 new police officers to be recruited says Commissioner (updated)"
Total and absolute tosh from our superfluous Police Commissioner. There is no neighbourhood policing in my communities. And we will get no extra police officers on the island. Thanks to OTW for going back to him on his initial spin. Their own words in response say it all. Watch out for G4S vans, plastic policemen, “Volunteers”, Cadets and Specials being recruited to meet this promise. Some might suggest the use of the word ‘additional’ in the press release is highly disingenuous.